. : The greatest open and free world's portal of the poverty. The poverty world times - daily newspaper. Poverty conditions programs :. 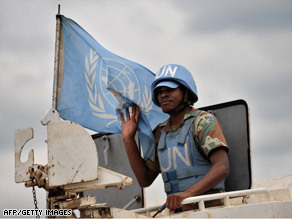 A U.N. peacekeeper rides atop an armored vehicle last week in Goma, Democratic Republic of Congo. Britain and France are calling for an additional 3,000 United Nations troops in the Democratic Republic of Congo, where the U.N. already has its biggest peacekeeping mission, a senior British diplomat said Wednesday. Mark Malloch-Brown, the British Foreign Office minister for Africa, the Middle East and the United Nations, announced a draft resolution on the troop increase while on a four-day mission to the war-torn Congo. Britain expects the U.N. Security Council to adopt the resolution by the end of the week, a spokeswoman for the British mission to the United Nations said. The resolution follows calls from the United Nations' own peacekeeping experts, Human Rights Watch, and local human rights groups in Congo for more troops to support the 17,000 U.N. soldiers already there. 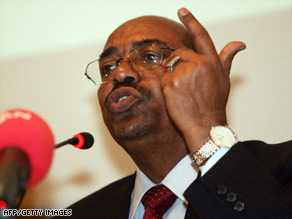 Sudan President Omar al-Bashir, who was charged with war crimes, is under pressure to end the war in Darfur. Terms under which this service is provided to you.Read our privacy guidelines.